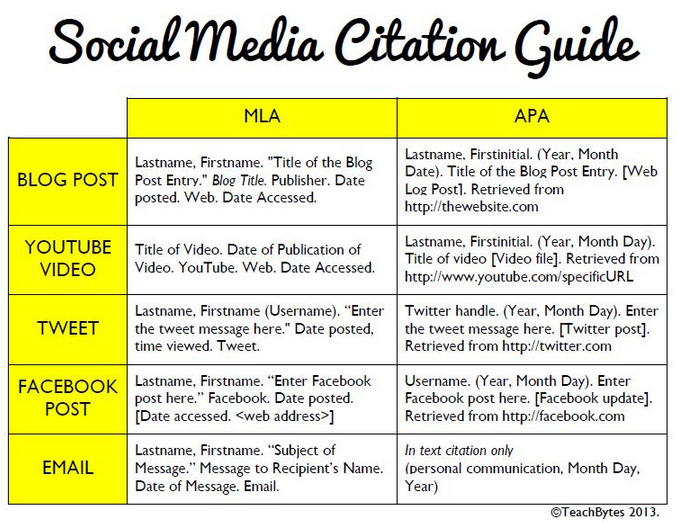 Here is a great resource on how to cite social media . 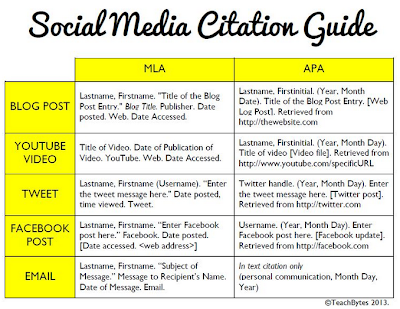 This is basically an awesome chart featuring the different ways to cite social media using both MLA and APA style. This chart is created and shared by Teachbytes.